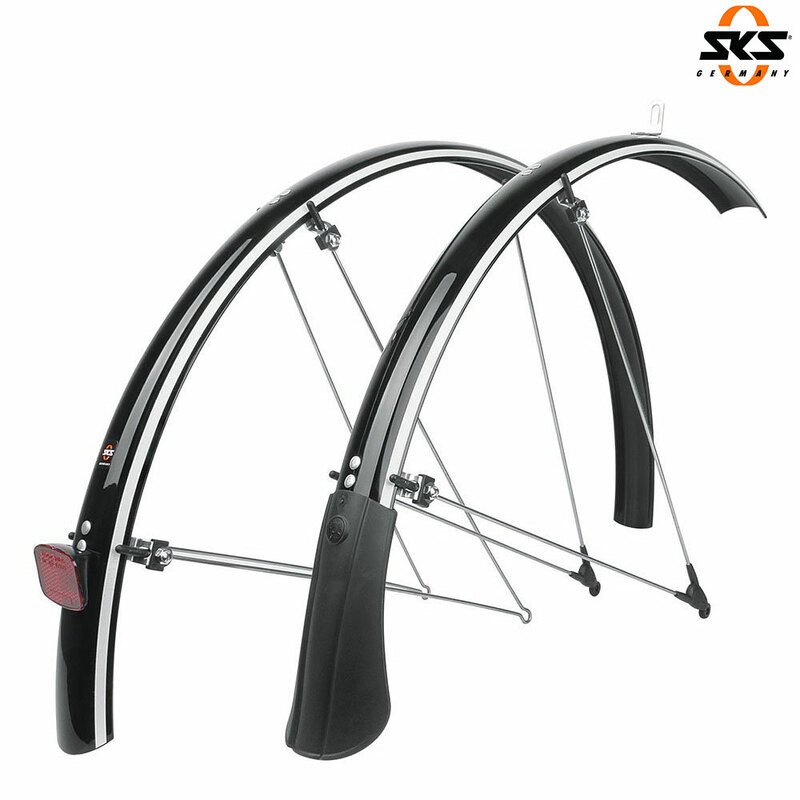 As a mudguard pioneer, SKS have developed the Bluemels mudguard set utilizing 3M reflective material. This ensures a better visibility in dark hours and thus more safely on the road. It shall be understood as an additional feature and is not a replacement for spoke reflectors or reflective tyres. Includes rear reflector plus an extended mud flap on the front.